This is a square Union Oil Company porcelain sign. This particular Union Oil Company sign is red, white, and blue. 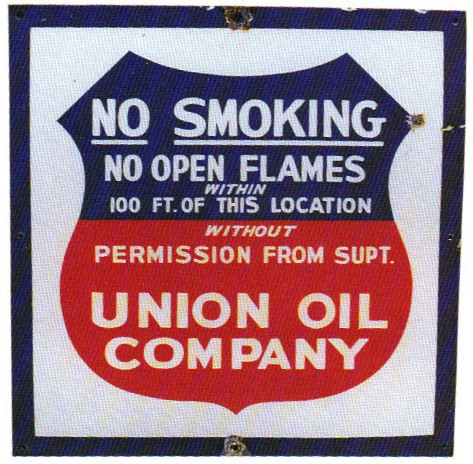 It reads, “No Smoking, No Open Flames Within 100 Ft. Of This Location Without Permission From Supt., Union Oil Company” in white text on a red and blue shield in the center of the sign.